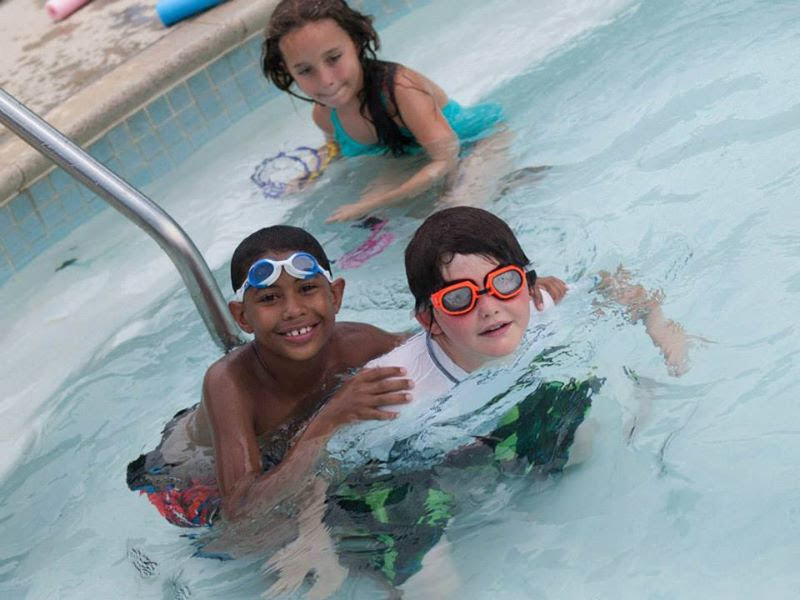 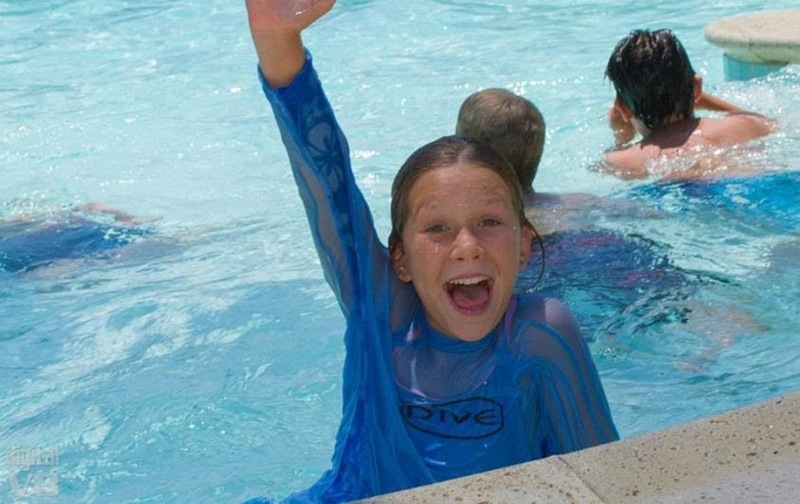 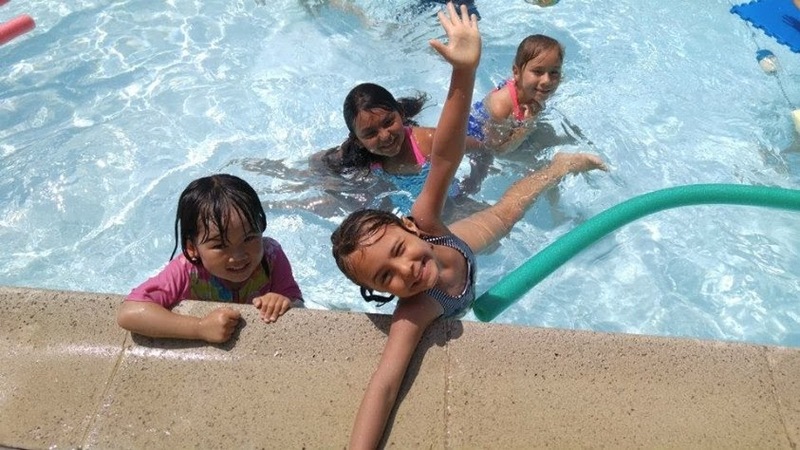 We believe that swimming is an important life skill and builds confidence in our campers. 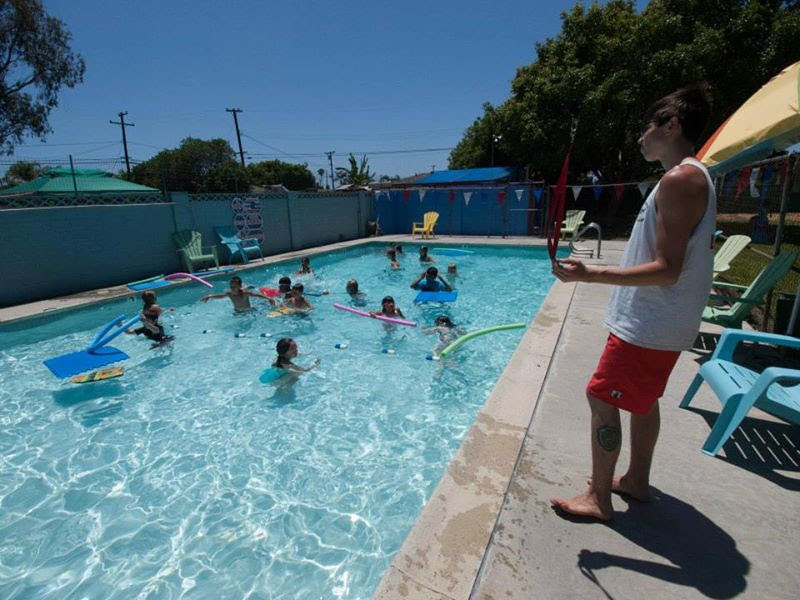 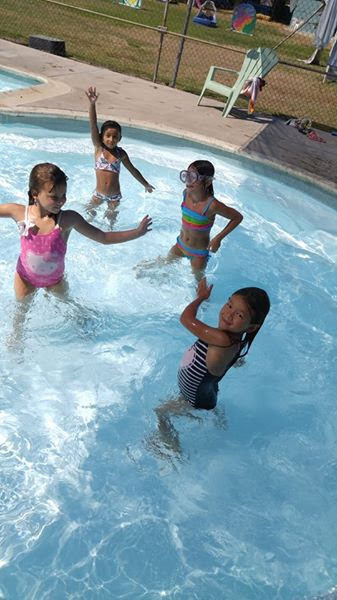 Campers swim every day in our heated campground pool under the watchful eye of our Red Cross certified lifeguards. 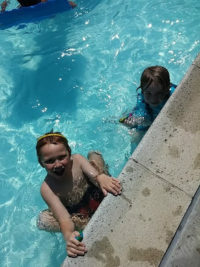 Our pool’s dividing rope separates the shallow end from the deep end. 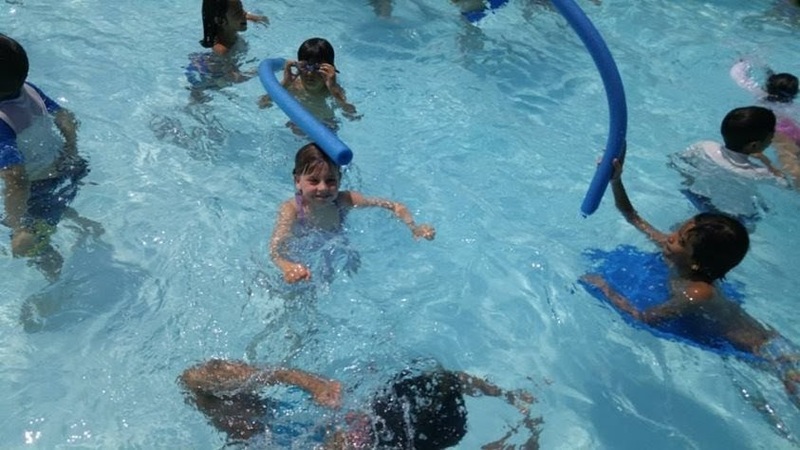 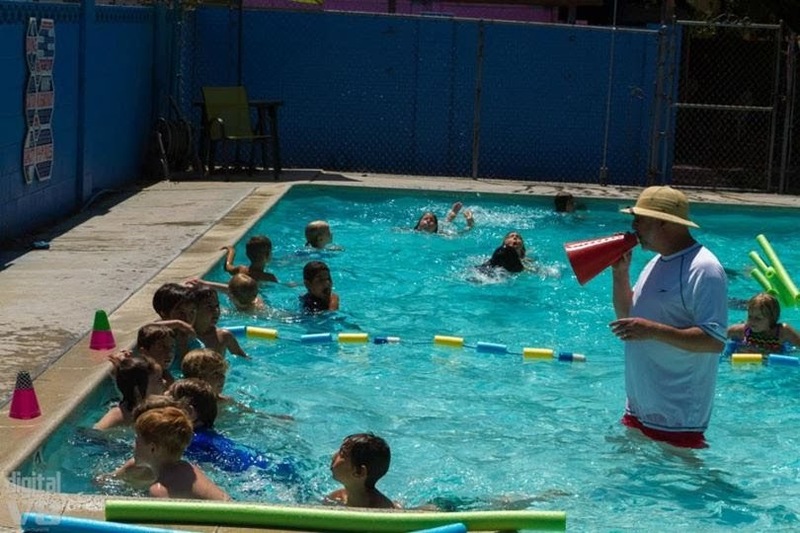 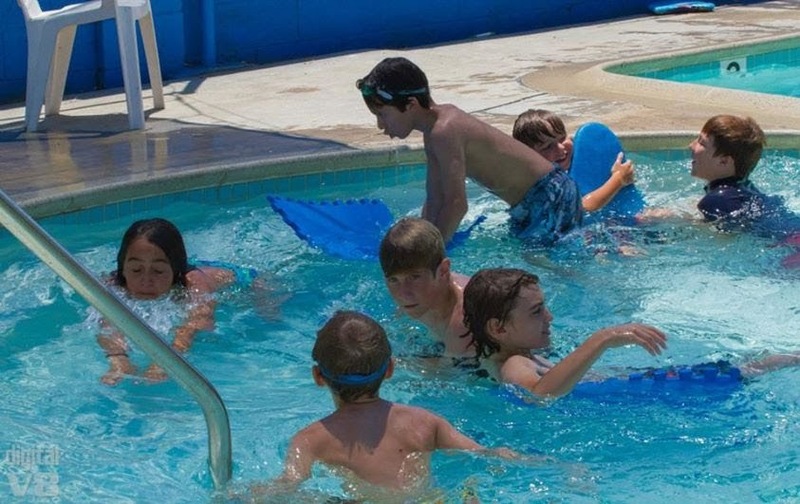 Campers are required to pass a swim test before they are permitted to swim in the deep end. 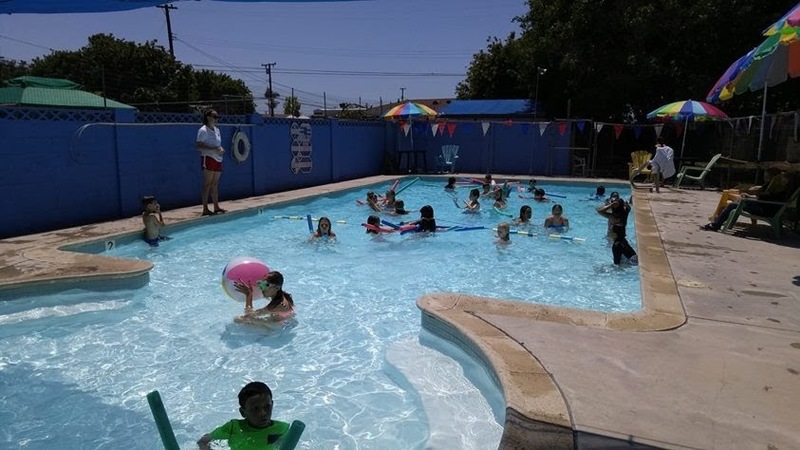 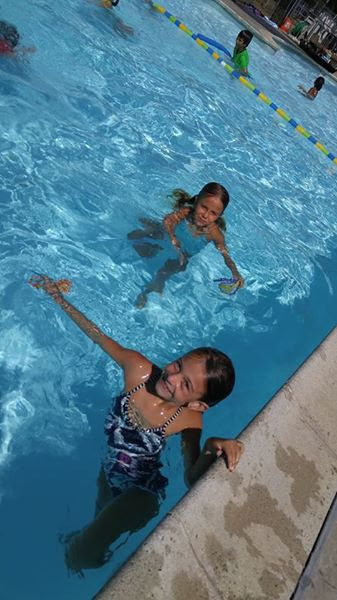 We offer free swim lessons for campers of all ages and skill. Our goal is to teach children to swim in a safe environment. Campers learn to swim in our small group lessons. 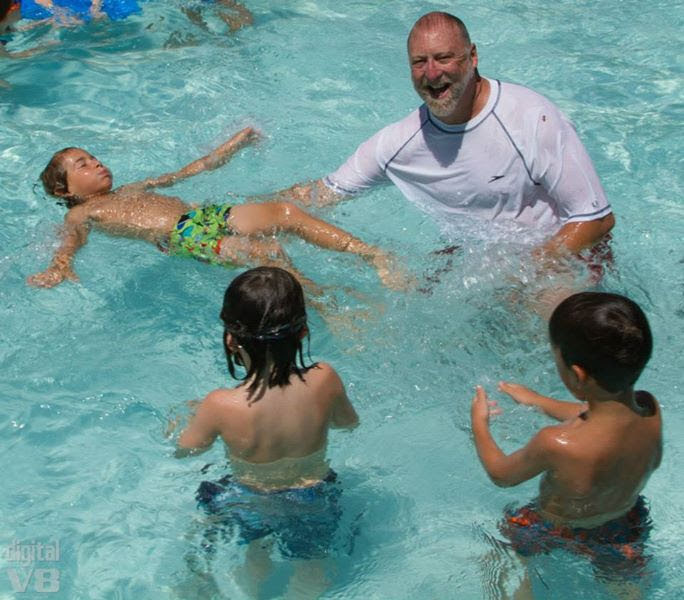 Each lesson is taught by a certified Red Cross water safety instructor. 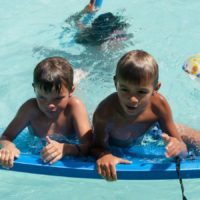 The hands-on instruction caters to all levels of experience, from the child still dipping their toes in the water to the child perfecting their advanced strokes. Swim lessons are based on skill, not age, so we are able to challenge swimmers of all levels. 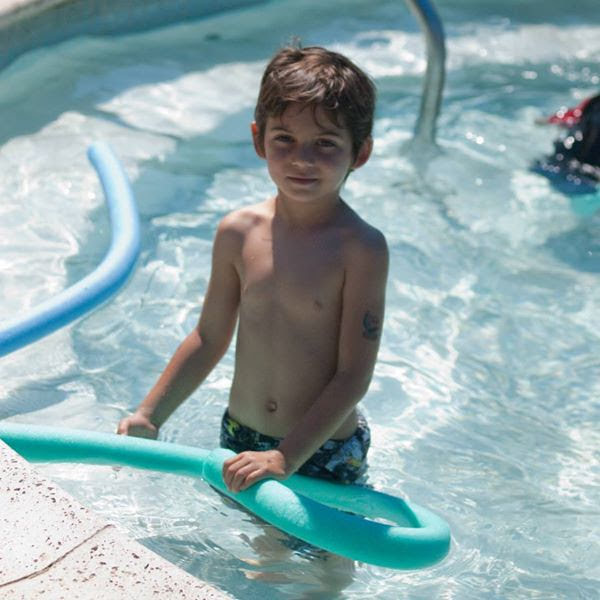 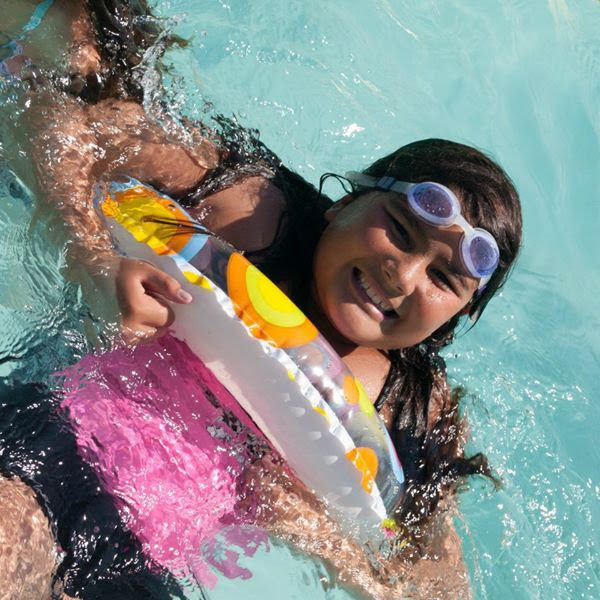 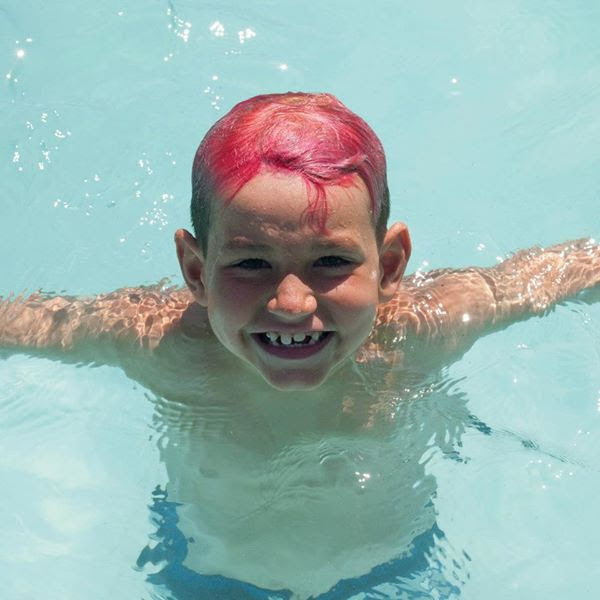 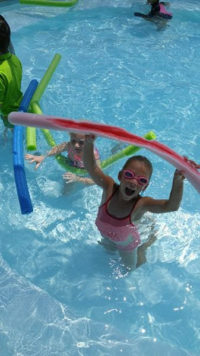 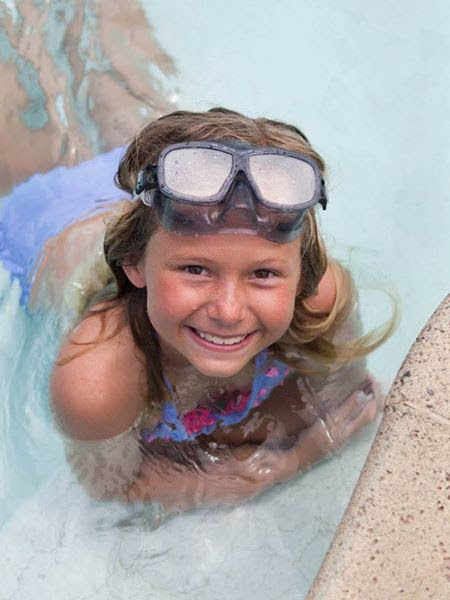 Younger campers focus on water comfort, floating, breathing and developing basic swim strokes. 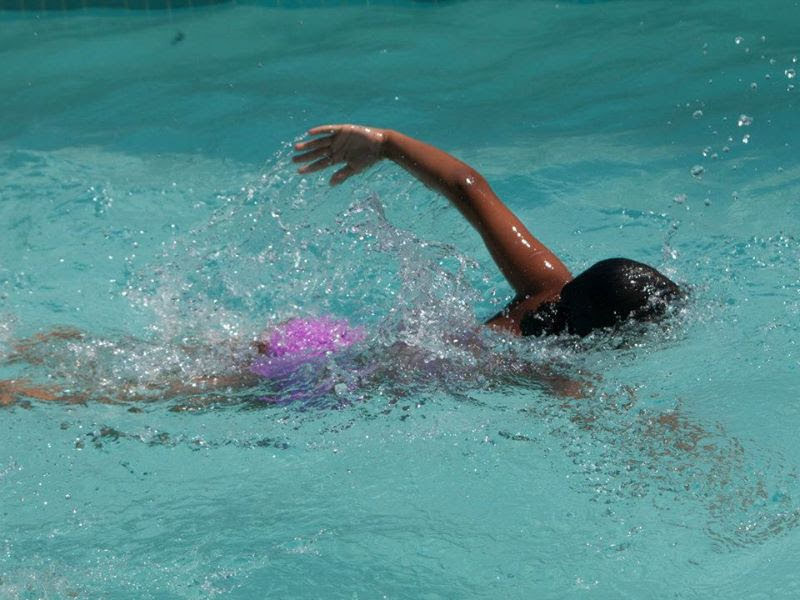 More advanced swimmers work on perfecting their strokes and building strength and endurance. 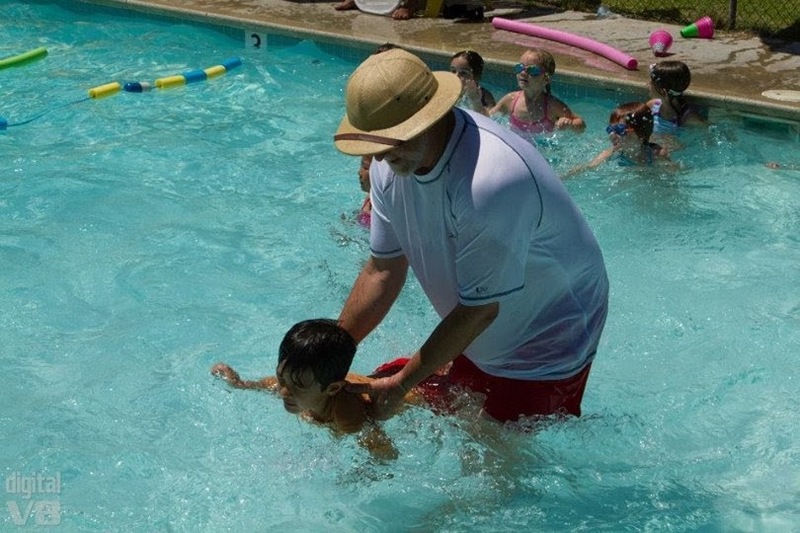 Each camper’s progress is monitored by their swim instructor to ensure they are learning at a pace that is just right for them.